This wooden children’s drawing case by Japanese designer Kana Nakanishi of Oiseau folds out to form a stool. 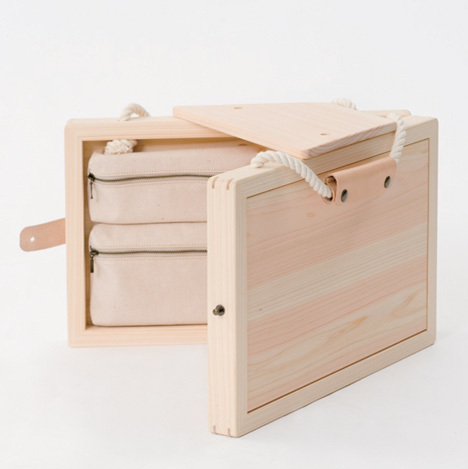 Called Atelier Book Chair, the case is made from Japanese cypress and houses a sketchbook in one side and pouches for drawing and painting equipment in the other. 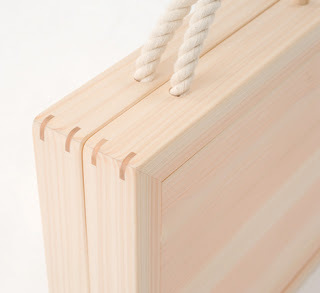 A trapezium-shaped piece of wood can be slotted onto pegs in the open case to form a seat. Photographs are by Asaco Suzuki. 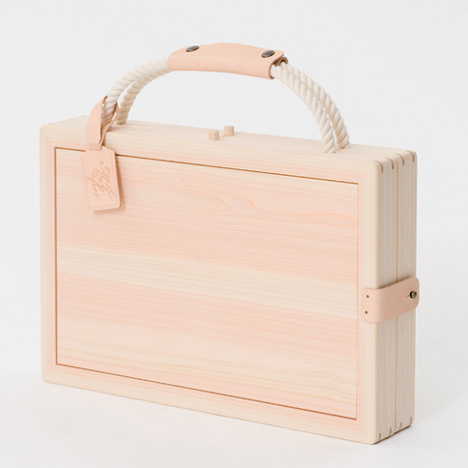 Oiseau Inc. released a product designed by Kana Nakanishi under the brand called “mother”. 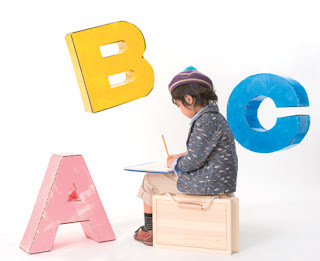 The product is called “ABC” standing for Atelier Book Chair. 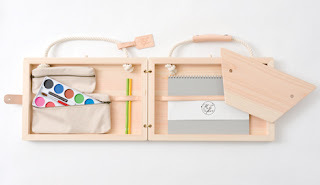 It is a portable “drawing set” that can carry drawing tools and becomes a stool. 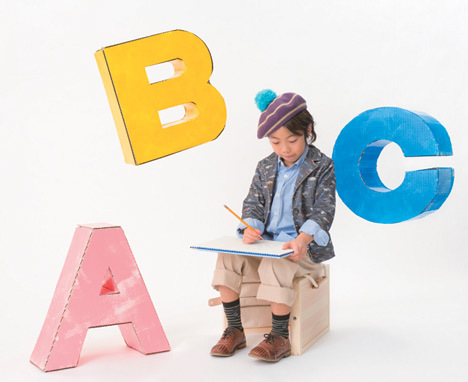 The user can take ABC anywhere they like and the place will instantly turn into one’s own atelier. 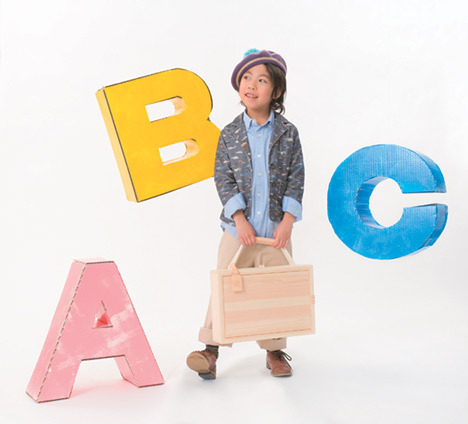 ABC looks like a wooden suitcase which is light enough for a child to carry. Once opened like a book, there are detachable pockets to store drawing tools and a place for a sketchbook. The seat board is also stored inside and when the board is attached to the body, ABC will turn into a stool. 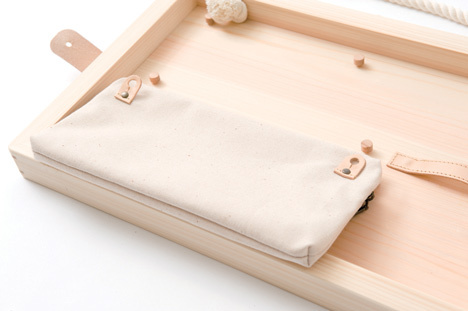 Oiseau Inc. established “mother” brand for its range of products. The name “mother” has a philosophy that the products should be used for a long period of time and the designer who produces them should be the “mother” of the product and consider carefully about the whole “life” of a product. ABC became the first product to be released under this brand.